The creative industries make an astonishing contribution to the UK economy, with an output that’s revered across the world. However the result of the EU Referendum brings a huge amount of uncertainty and concern to creatives. These are the two big takeaways we got from this week’s Creative Industries Federation’s International Conference. 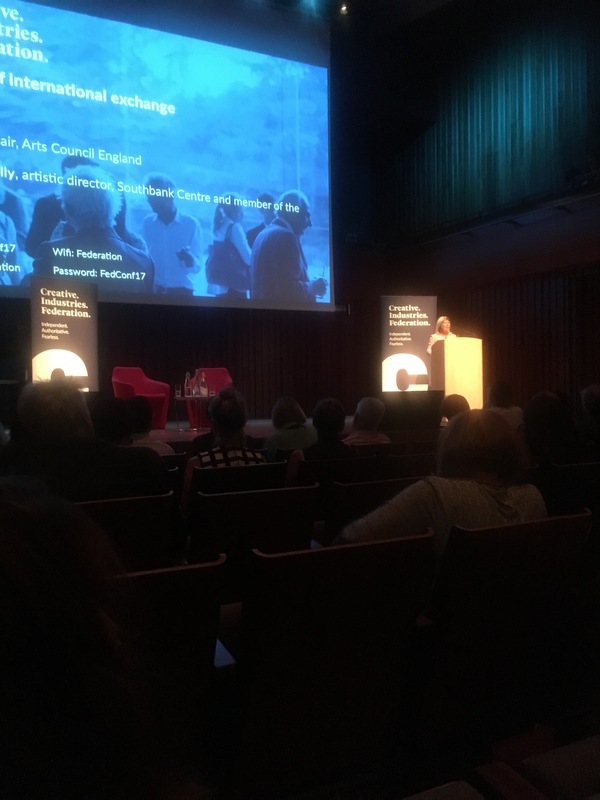 Held at the delightful Barbican Centre, it brought together many of the UK’s cultural movers and shakers (hence why we were their, of course!). The agenda was full of big name panellists such as Laura Kuennsberg, Tristram Hunt and Elif Shafak, with debates focusing upon creativity in the UK, the political outlook and the relationship between creativity and innovation. But it was definitely an event of mixed emotions. There was undoubtedly a sense of pride and passion for the contribution that the creative industries make to the UK’s brand. In addition to their economic impact, these industries attract the brightest and the best from around the world to work on their output. But the elephant in the room was Brexit. The result of the EU Referendum and the uncertainty it brings loomed over pretty much all of the debates. Particular concern was expressed over its impact on the economy, possible restrictions on the free movement of labour and the potential damage to the UK’s international reputation. Whilst we celebrated the creativity and innovation of our peers, we definitely felt a collective anxiety over the future. We also learned some cool stuff along the way, for example Theresa May was considered a “shy Remainer”, Jeremy Corbyn’s approach to Brexit was thought to be “strategically vague” and the creative industries outperform all other sectors of the UK economy. We’ll definitely be there next year, and look forward to the debate and discussion it will bring. Hopefully, by that time we’ll know a little more about the size of that elephant too!